On February 6th I attended the religious leaders dialogue at the National Cathedral in Washington D.C. The panel for the dialogue included the author of Dead Man Walking, Sister Helen Prejean, as well as six national religious leaders. The event began with each person sharing why they are a part of the movement to end the death penalty. After hearing the testimony of each speaker, I wondered about my own story. 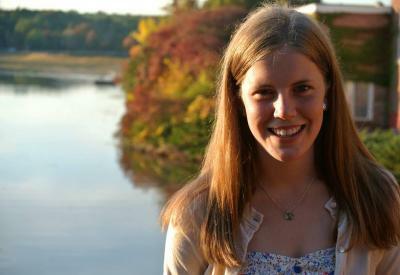 I am a nineteen-year-old student at Catholic University from a small town in New Hampshire. I have never known someone on death row, nor I have I been effected by a violent crime. Unlike some of the speakers, I do not have a profound testimony for being a part of this movement. My reason for being a part of this movement goes back to third grade, when I went to my first March for Life in Washington D.C. Along with my dad, my brother, and a bus full of people from my church, I made the eight hour journey from New Hampshire to D.C. and marched along side hundreds of thousands of others. As I looked around at all of the posters with photos of little babies on them, I could not fathom how adults, those who teach that it is not okay to hurt or kill others, would disregard the lives of the unborn. On a fourth grade field trip to New Hampshire’s state capital building, my class had the opportunity to meet the governor, John Lynch. Governor Lynch asked us what law we would make, if we had the power to make any law in the world. One of my classmates said they would give everyone free ice cream, and another said they would make homework illegal. Raising my hand, I called out, “I would out-law abortion!” As we were leaving, my teacher pulled me aside and sternly told me that a field trip was not the time or place to bring up such a controversial issue, especially when talking with our governor. I could not comprehend why she reacted in this way. To the young fourth-grade me, who saw the world in black and white, it was clear; abortion is killing, and killing is wrong. From that point onward, defending life and doing what I could to convince others to do the same shaped my beliefs. It was not until high school and then college that I learned that being pro-life means so much more than just walking in a march each year. I realized the pro-life movement extends beyond the issue of abortion. Society has a problem in which it values certain lives over others. And being pro-life means doing everything we can to promote a culture that respects the life of every person. Being pro-life means taking the time to speak with the man experiencing homelessness who is sitting on the street. It means showing his that we value his life as much as we value our own. Being pro-life means visiting those in prison, and that regardless of their crimes, no life deserves to be thrown away. Being pro-life means acknowledging that every life, whether it be of an unborn child or a person in prison, is worth defending. It should come as no surprise that if life is not valued in the womb, it will not be valued of the elderly, or of those in prison. I am always encouraged to see all of the young people at the March for Life. I love hearing that my little brother and his friends cannot wait to march, and seeing middle school students holding signs that say, “We are the generation to end abortion.” The fight for life is not an adult fight. It is not a politician’s fight. It is not our parent’s fight. It is our fight.